Light Tackle Charters is a father and son business, and we take pride in what we do. 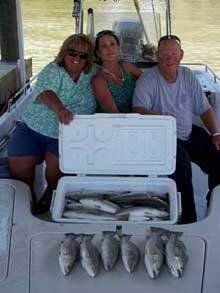 We fish out of Theriot, Louisiana (Dularge area), and have a network of captains. No matter if it’s just you and your spouse or a 40 client corporate trip, we can accommodate your needs. We also have lodging, so give us a call and come experience what South Louisiana has to offer. Houma is located in Terrebonne Parish, which is centered between the Mississippi River and the Atchafalaya River. It has been said that the Atchafalaya Basin is one of North America's greatest remaining estuaries. With that being said, it is no wonder that the waters around and below Terrebonne Parish are so rich with fish and wildlife. South Louisiana is one of the best, if not the best, places to fish in the country for speckled trout and redfish. Our two captains are Captain Gerald Ellender and Captain Joshua Ellender. We have fished the Dularge area for the majority of our lives and have a combined experience of over 50 years. Book a trip with Light Tackle Charters! We guarantee you won’t be disappointed! 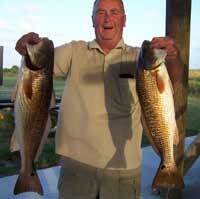 We mainly target speckled trout or redfish but also offer bull redfish, black drum or sheepshead fishing charters. All of these fish can be caught throughout the year in Louisiana, but some months are better than others. 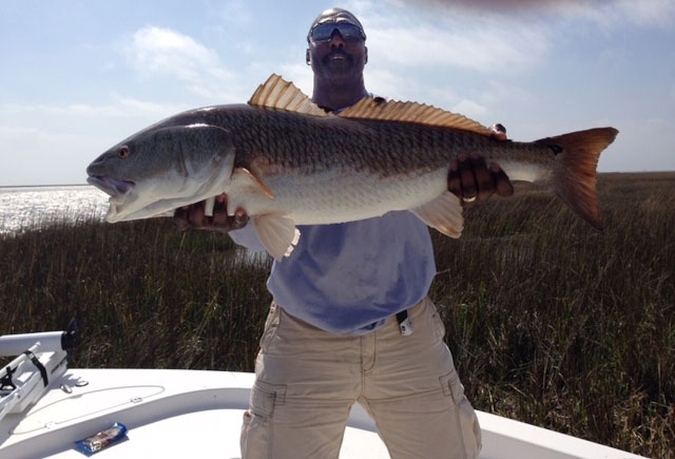 Redfish – Big fighters and tons of fun to catch. Limit is 5 fish per person. Redfish can be caught all year long, but the best months are August and September. It is truly amazing how many redfish are caught during these two months. Bull Redfish – It is a redfish over 27 inches. We fish a little different for these, but these put up an enormous fight. February through April and August through September are great months for these big fighters. Speckled Trout – Great table fare and hard to beat when you can catch two fish at one time. Limit is 25 per person. April through July and October through December are fantastic months for speckled trout. Black Drum – Cousin to the redfish and actually taste a little better too (in my opinion). Just like the redfish, the limit is 5 fish per person. Black drum can be caught all year and get very big. It is not uncommon to catch a 40+ pounder. Sheepshead – Great fighters and great table fare. No limit on these guys, which makes for a fun day. 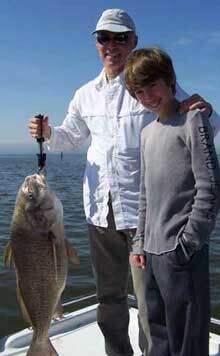 December through February are fantastic months to fish for sheepshead.